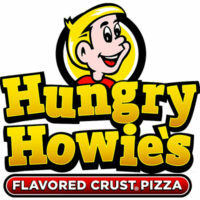 Hungry Howie’s Pizza is one of the biggest pizza chains in the U.S. Known for its flavored crust, it satisfied American taste buds for 43 years with their premier pizza, calzone, and chicken wings. Their recipe that hails from Taylor, Michigan is made consistent across franchisees through Hungry Howie’s Distributing, Inc.
James Hearn, together with Steve Jackson, his delivery guy, operated the first Hungry Howie’s store in 1973. Nearby schools along Telegraph Road helped the business thrive. Its expansion into other locations, however, began only in 1983. Through product quality, customer service and marketing, the company received a devoted following, helping it sustain its growth over the years. It took almost ten years before the company considered franchising the brand. Since then, their growth has been exponential year after year. Today, there are 550 franchises across 21 states. The company received “Chain of the Year” award from Pizza Today Magazine in 2004. Employee benefits differ among franchisees. All workers have flexible hours, paid training, and advancement opportunities. Only some locations provide paid vacation, health insurance, and 401(k) retirement plans. The company offers employment opportunities for professionals starting their careers. The friendly working environment encourages good performance by offering free food, training, promotion and a competitive pay. The company offers employment opportunities to professionals as young as 16 years old. Many professionals without job history use this as a starting point to start a career in the food (or any related) industry. Insider – accessible to professionals starting a career in the food industry. Insider responsibilities include assembling menu items, maintaining sanitation standards, and responding to customers. Pizza Delivery Driver – accessible to licensed drivers who can follow safety standards. Delivery drivers may do the role of the Insider during lean days. Crew Member – accessible to professionals starting a career in the food industry. Since this role involves counter service, taking orders and getting directions from the manager, it’s a training ground for a leadership role. Assistant Manager – available for professionals with relevant experience in a supervisory function. This is an administrative role, which requires being in charge of the performance of subordinates. The company offers other employment opportunities for entry-level applicants. Available job functions include pizza maker, cashier, and customer service representative among many others. Hungry Howie’s has hundreds of franchises operating independently from one another. Location is a top consideration when applying, as it makes it easy or more challenging. Inquire into the specifics of the application process available online or in store. Online and in store applications are both available. While the website provides easy access to available jobs, applicants should inquire in store about employment terms and conditions. Franchisees are independent from each other and may make hiring processes differ. The process of filling the application form should be an accurate and complete recount of your professional history. This is your chance to highlight your credentials, career achievements and significant contributions made in past employment. Every resume is unique, but making it stand out requires you to highlight your experiences, knowledge and skills acquired from previous roles. If the role requires certain certifications and aptitude requirements, mention your education, seminars, training and certifications gained over the years. Understand the specific details of the job and prepare how you will communicate your personal merits that make you qualified. Research about the company to know how being a part of it will benefit not only them, but also your career. At Hungry Howie’s, employees don’t ever go hungry because of the free food. This culture of generosity and sharing motivates workers to contribute what they can to make the brand successful. The familial working environment makes a busy day worth it. The company has reported consistent sales growth for six years. The increase in franchised locations, enhancement of store ambiance, improvement in the product line, and addition of online order placement contributed to the continued rise in annual revenue figures. The Flavored Crust originated from one franchise until owners noticed how it caught on fast. It was used across all their chain and became the thrust of their marketing campaign. Today, the “Home of the Flavored Crust Pizza” has nine crust flavors. The company is an avid supporter of the National Breast Cancer Foundation. Through the Love, Hope & Pizza Campaign, the company sells pizza to raise awareness and funds for the foundation.